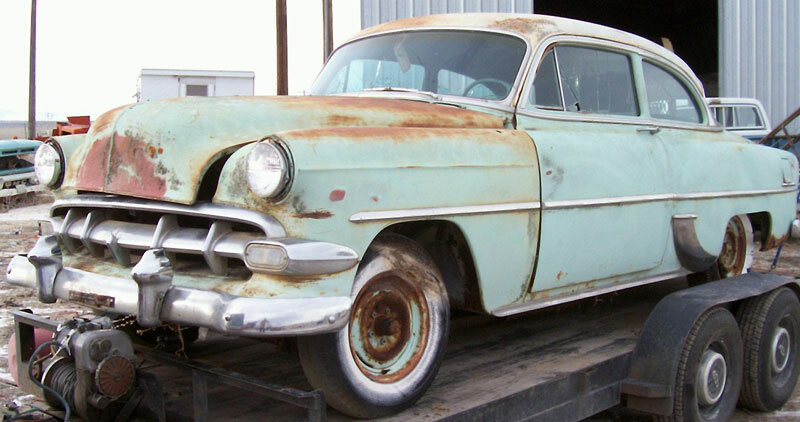 This white over blue 1954 Chevrolet Two-Ten 210 2 door post sedan is a very solid, complete car ready to be restored, customized, or rodded. It is a manual shift car and there is no motor or radiator. 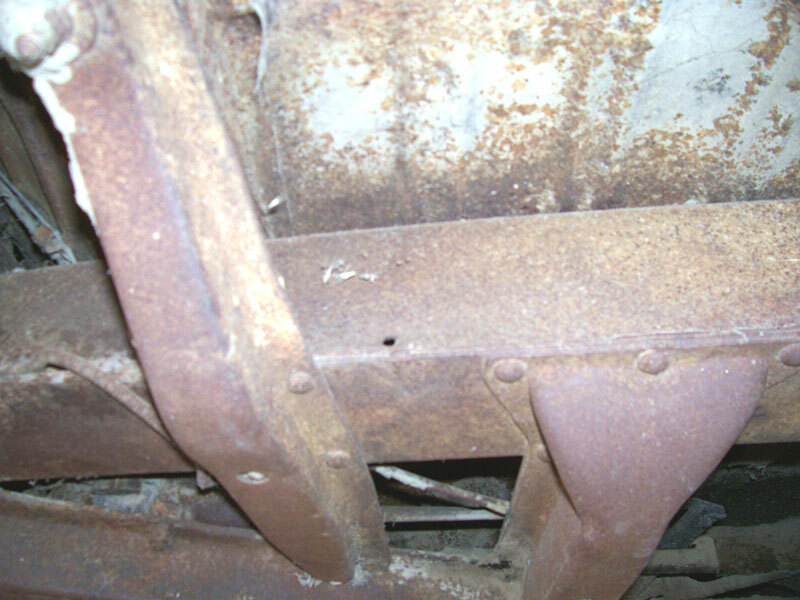 The body is solid inside and out, except the lower quarters behind the rear wheels have rust and need to be repaired. The grill and front bumper are good, except the center grill tooth is broken. The right parking light housing is dented on the outside. The headlight trim and hood trim are missing. The deck lid trim is missing. The right side trim is dented. There is a small dent in the right side of the rear bumper. The windshield is good. The rear and flat side glass needs to be replaced. The green interior is all there. The dash and gauges are complete except the radio and ash tray are missing. The seats and door panels are all there. The floors and trunk bottom are solid. The trunk and spare well are solid. The chassis and suspension are very straight and solid. This nice 54 Chevy Two-Ten is an excellent candidate for restoration, customization or hot rodding because the sheet metal is so solid and straight and the interior is complete. 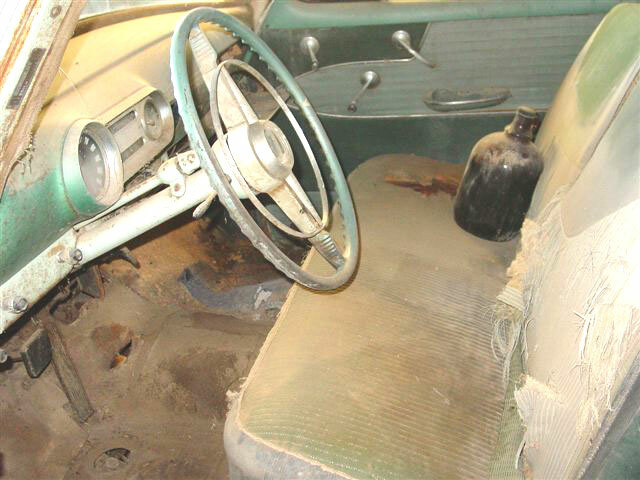 Please call (406) 318-0270 for details about this 54 Chevy Two-Ten 2 door post.